Categories: Children's Adoption Books, About Adoption, Adoption Professional Basics, Agency Essentials, Attachment Therapy, Birthparents, Foster Children & Foster Care Adoption, Psychotherapy, Tapestry Picks, The Adoption Professional. 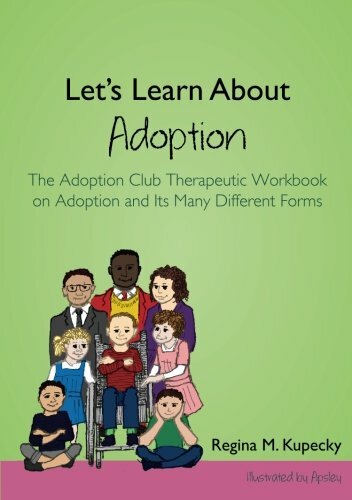 There are many kinds of adoption — and in this workbook the children of The Adoption Club find out about all of them! The children of The Adoption Club are all different. There’s Mary who was adopted from China by her single mum, Alice, who is still in touch with her birth parents in an ‘open adoption’; siblings Angela and Michael who lived in different homes for many years but are now back together; Robert who loves to do stunts in his wheelchair; and Alexander who grew up with lots of children in a care home. Written for counsellors and therapists working with children aged 5-11, as well as adoptive parents, this workbook is one of a set of five interactive therapeutic workbooks written to address the key emotional and psychological challenges they are likely to experience. They provide an approachable, interactive and playful way to help children to learn about themselves and have fun at the same time.